1982 Senior College for Print and Design in Kiev. 1997 Art Director in Kiev, Publisher Sphera. 1998 General Designer for computer type design at Unique GmbH. 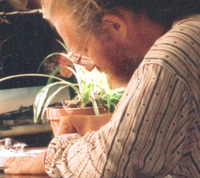 Designer of Cyrillic, Hebrew, Armenian, Georgian, Arabic, Devanagari, Katakana, Hiragana, Glagolitic and multilingual fonts.